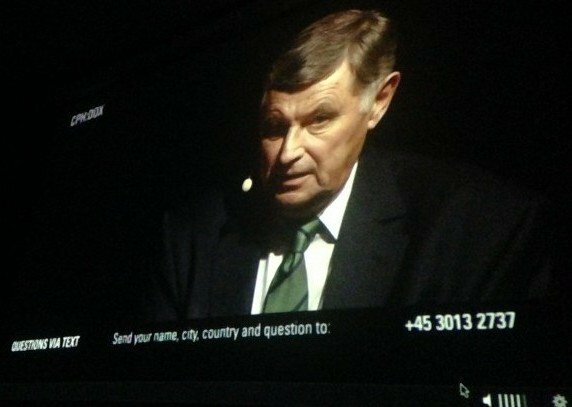 Former Hungarian Prime Minister Miklós Németh speaks to the 2014 Copenhagen International Documentary Festival about his pivotal role in the fall of the Berlin Wall. The young Harvard-educated economist Miklós Németh didn’t dream he would play a decisive role in the fall of the Berlin Wall when he was appointed Prime Minister by Hungary’s Communist Party to fix the nation’s finances in late 1988. Only a year later he was at the centre of it all. 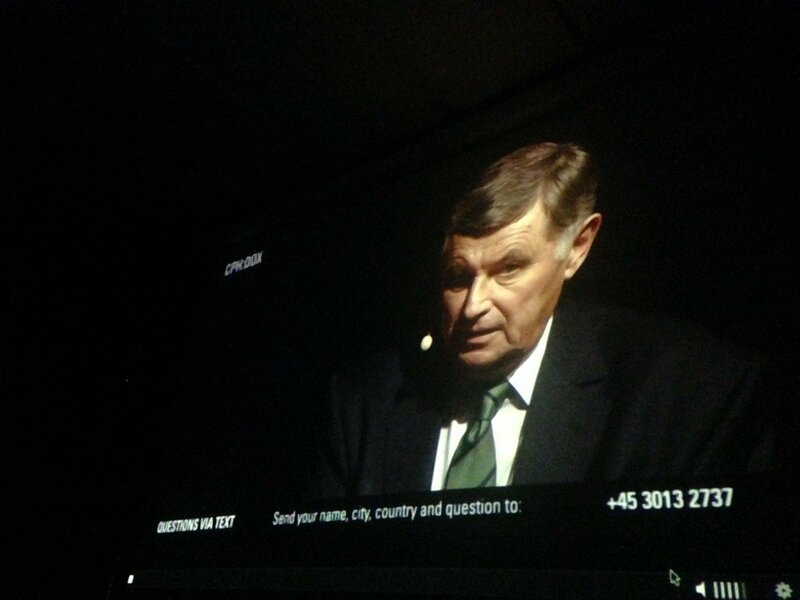 On Wednesday 5 November, the Frontline Club tuned in to the world premier of 1989, a new documentary by Anders Østergaard detailing the months and days of Németh’s tense political manoeuvring that precipitated demolition of the wall, as it was shown in 57 cities across Europe during the 2014 Copenhagen International Documentary Festival (CPH:DOX). Stitching together archival footage seamlessly with reenactments of behind-the-scenes political moves, 1989 shows how Németh’s decision to dismantle one of the biggest drains on Hungary’s budget – a 240 kilometre-long electrical fence bordering Austria – reverberated through the former communist block. Just months later, tens of thousands of East Germans were scrambling across the divide. Post-screening, Németh joined Danish Broadcast Corperation news anchor, Lene Johansen; professor and EU analyst, Lykke Friis; Senior Advisor to the European Policy Centre, Hans Martens; and former Prime Minister of Denmark, Poul Nyrup Rasmussen, to reflect on 25 years of changes his decisions brought to Europe. The continuing conflict between Russia and Ukraine was at the top of the agenda. “I am a great believer in dialogue and compromise. That is the way of finding your way out of a difficult situation,” Németh said of the fighting, adding that his good rapport with Mikhail Gorbachev helped guide him through difficult times. Find out more about 1989 on the film’s website, where director Anders Østergaard will answer questions submitted by audiences from audiences all over Europe participating in this simultaneous screening.